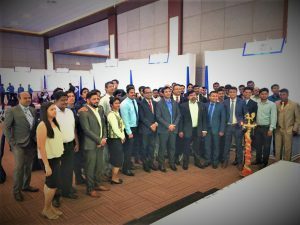 The ‘Big 72 Hours Home Fest’ was organized by Puravankara Limited from 15th – 17th September, in Bangalore at Hotel Lalit Ashok and at Hotel Hyatt Regency in Chennai. Prospective home buyers got an opportunity to scout for their perfect home at highly discounted prices. The minimum discount offered to every single buyer was 7.2% for a limited time period of 72 hours. Additionally every buyer who purchased a property in the listed Puravankara and Provident Housing projects, across 6 cities, was handed out the latest Apple iPAD (for spot bookings). 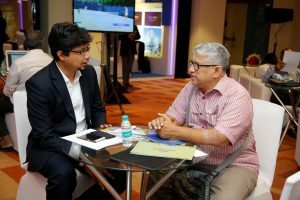 The three day home buying festival or as we call it – Big 72 Hours Home Fest, saw a footfall of more than 5000 potential home buyers in Bangalore and Chennai. And all those who made a lifetime and life-changing decision of buying a home, were all praises about the project they invested in. “We’ve been looking for a home for a long time now, either the floor plan is not ok, the builder has plotted some rules, or the construction quality is not ok, but at Puravankara, we found everything to be transparent. Special thanks to the team here.” Mrs. Nirmala purchased a home at Purva Sunflower located on Magadi Road in Bangalore. The star projects for us at the fest were Purva 270, Purva Sunflower, Purva Palm Beach, Purva Whitehall, Provident Sunworth, Provident Harmony and Provident Welworth City which saw the maximum response in terms of sales. 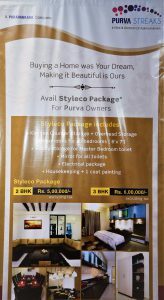 In addition to the excellent price benefit on homes, home buyers were also offered an exclusive discount of 15% on home interiors by our interiors development division – Purva Streaks. Our home financing partners for the fest – ICICI Bank Ltd and India Bulls, had exclusive plans with lower interest rates for the customers. 72 hours was absolutely back-breaking for our sales team and the walk-ins were non-stop. In case, you were busy with a family event or catching on your favourite movie or did not want to miss the cricket match, DO NOT PANIC. Due to massive response and on popular demand, we are bringing to you, BIG ONLINE HOME FEST. You read it absolutely right. We have planned a three day online home fest, from 20th – 22nd September, 2017. To grab this exciting opportunity, all you need to do it visit our website and purchase a fully refundable coupon for Rs. 720/-. This coupon entitles you to the special offers on our projects and locks your special price for the next 30 days, within which you can buy the chosen property at the locked price. The best part about the online fest is the special pricing coupon. As you buy the coupon and payment has been processed, you will instantly receive an email with the BEST PRICE for the project you have selected. That price holds validity for 30 days from the date the coupon was purchased. The revealed pricing can have a minimum of 7.2% discount on all listed projects. It can go higher depending on the project chosen. We look forward to welcoming you to the Puravankara Family. We are sure you will have a seamless and a happy home buying experience.